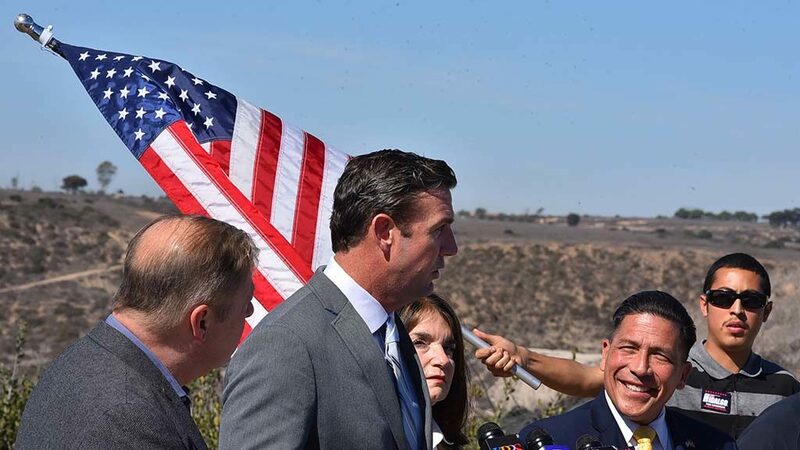 Rep. Duncan Hunter, standing on a gravelly Otay Mesa bluff overlooking the U.S.-Mexico border, fielded and fended off tough questions Thursday. 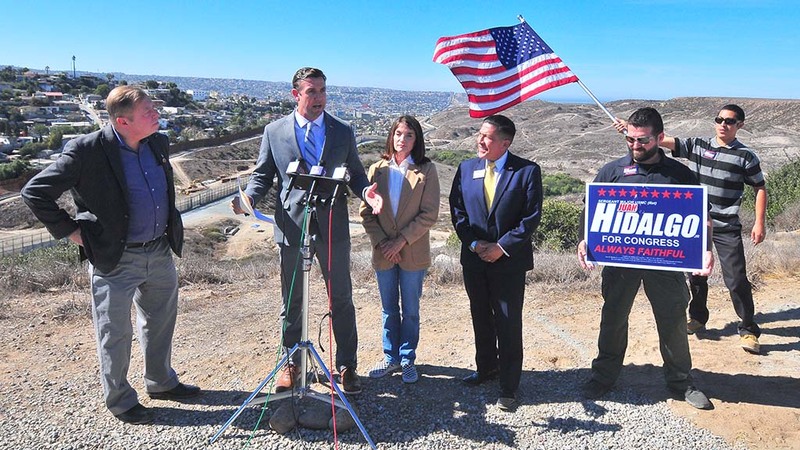 The East County Republican, in a hastily called noon press conference five days ahead of the election, announced he was sending a letter to President Trump. 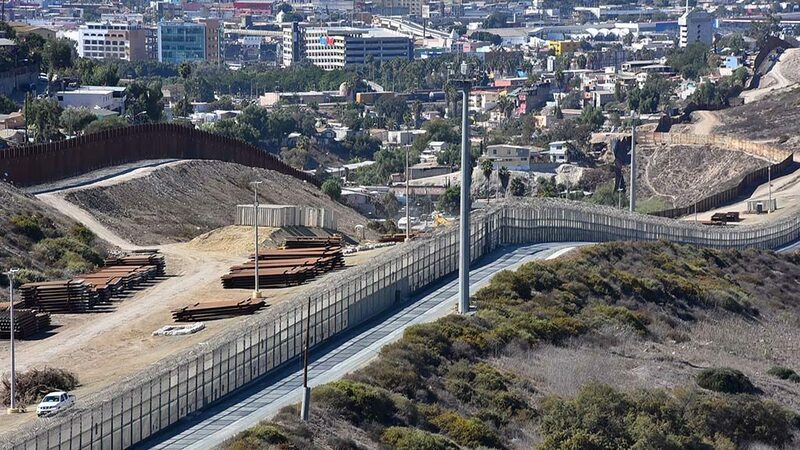 He said it called for the use of military units to build a “high-speed foundational road” along the border as a way of “jump-starting” the still-unfunded border wall. But Hunter — who rarely meets the media outside conservative confines — was pressed on a variety of pent-up issues. Did he agree with Trump’s zero-tolerance policy that led to family separations at the border? 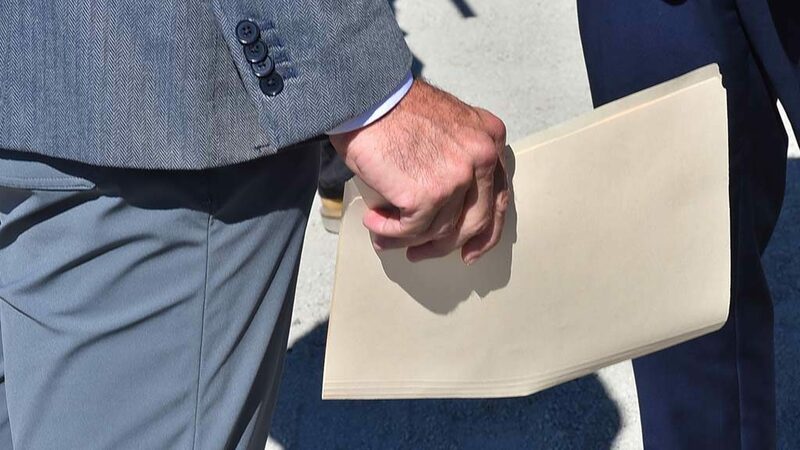 What about Trump’s plan to sign an executive order ending “birthright citizenship” — the 14th amendment guarantee that anyone born in the United States (save kids of foreign diplomats) is a U.S. citizen? Hunter generally backed the president — whom he likes to say he endorsed first in Congress. But he also sought to avoid questions about violating House rules against campaigning while using “official resources” of the government. “I’m here for official purposes. This is an official letter from me as a congressman. 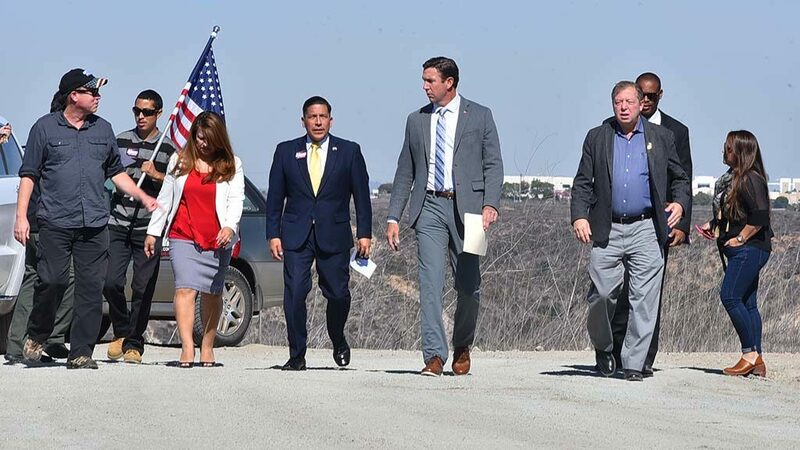 It’s not a campaign ploy or stunt,” he said while standing next to two other GOP candidates running for Congress — Diane Harkey in the 49th and Juan Hidalgo Jr. in the 51st, where the event was held. 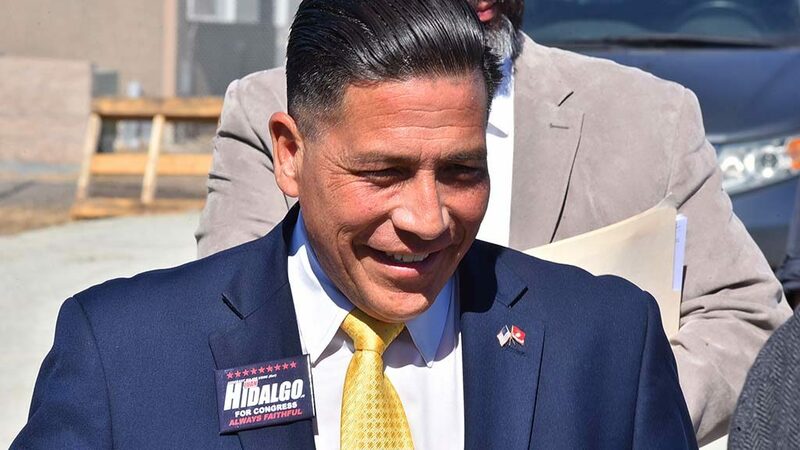 Only a few feet away, a young Hidalgo aide drooped an American flag for a backdrop, while another displayed a “Juan Hidalgo for Congress” sign. 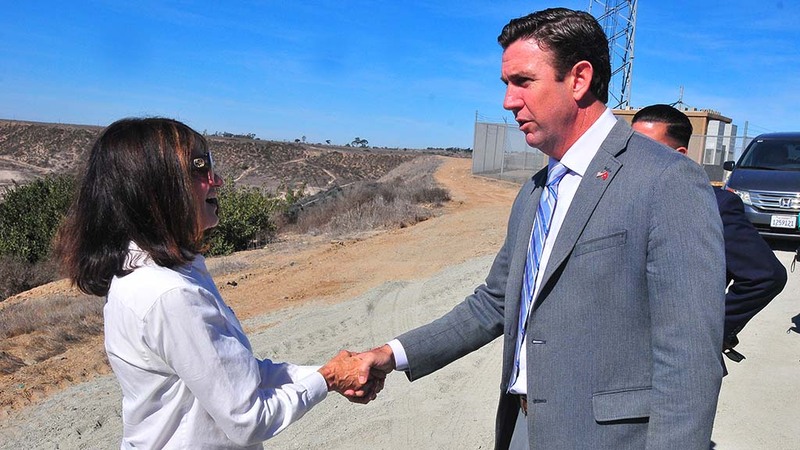 In a tightening race for a sixth term, the 50th District rep argued that America could save “tens of billions of dollars on equipment and man-hours” if military engineers being dispatched to the border to intercept a Central American caravan could start building a road between the primary and secondary border fences. 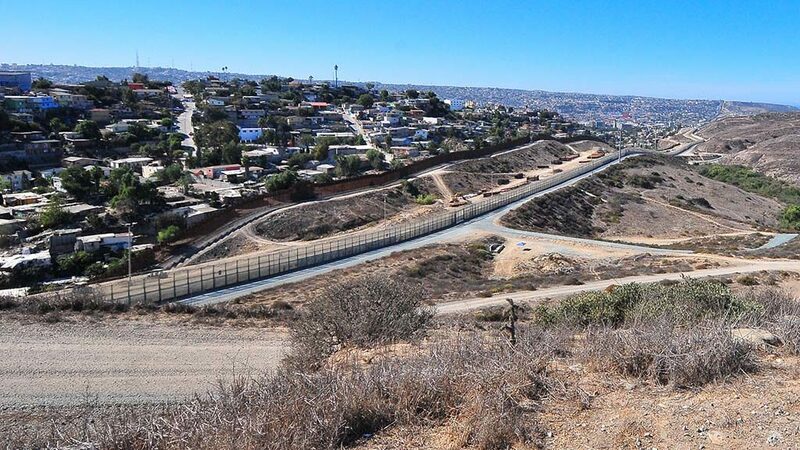 Trump is already sending nine engineering units with the first 5,000 troops headed to the border, Hunter said. 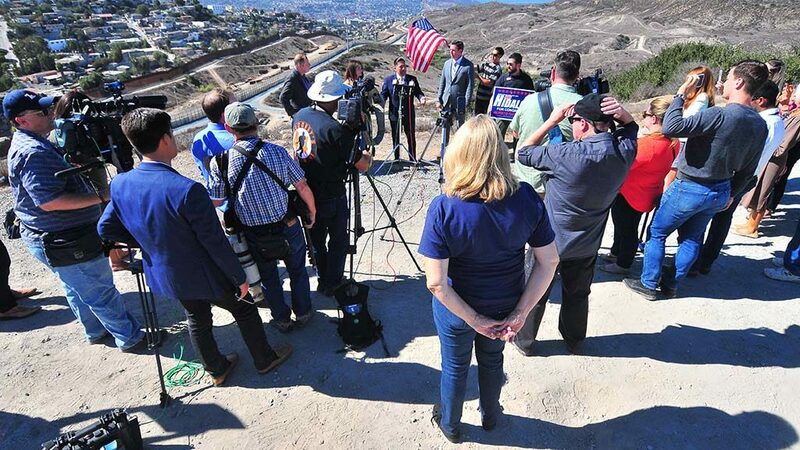 The half-hour media event was held at Arnie’s Point, named for an agent shot in the buttocks. 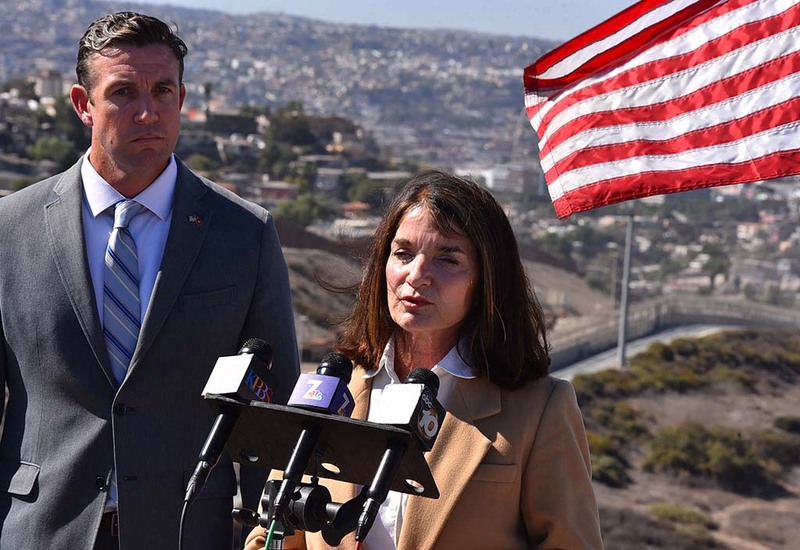 Hunter ally Harris, who backed the road-building idea, also is a local union official married to a Mexican woman whose parents crossed the border illegally, according to a recent profile. 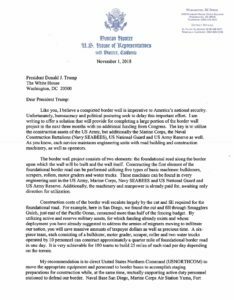 He said troops already doing “make-work” projects as training for Iraq, Afghanistan and Syria roadwork could just as easily do it on the border. 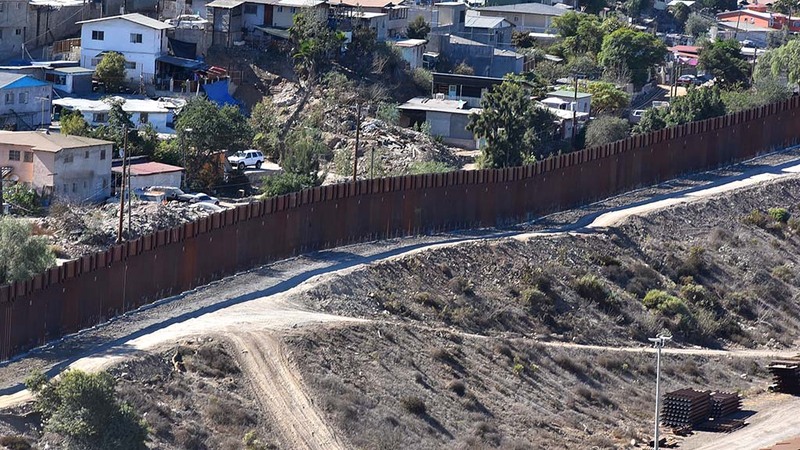 Four years ago this month, Hunter told Fox News that “I know that at least 10 ISIS fighters have been caught coming across the Mexican border in Texas.” Politifact rated the claim “Pants on Fire” ridiculous. This time, Hunter was more circumspect. 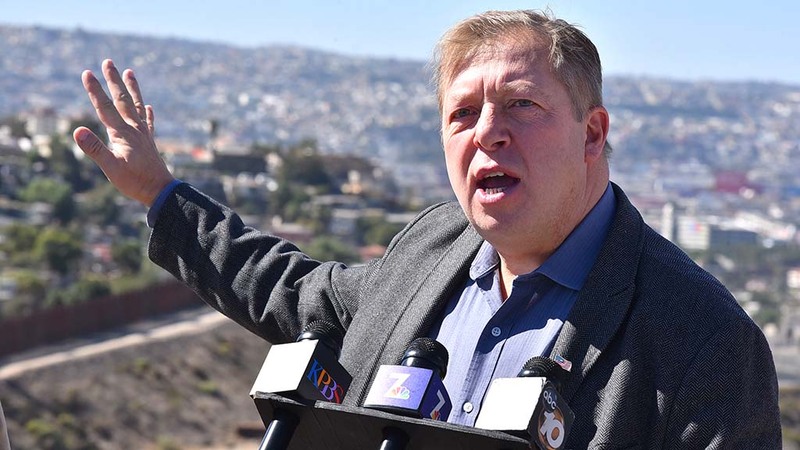 “Just because you can’t prove that there’s a terrorist organization infiltrated in these [caravan] units, doesn’t mean you can disprove that either,” he said. 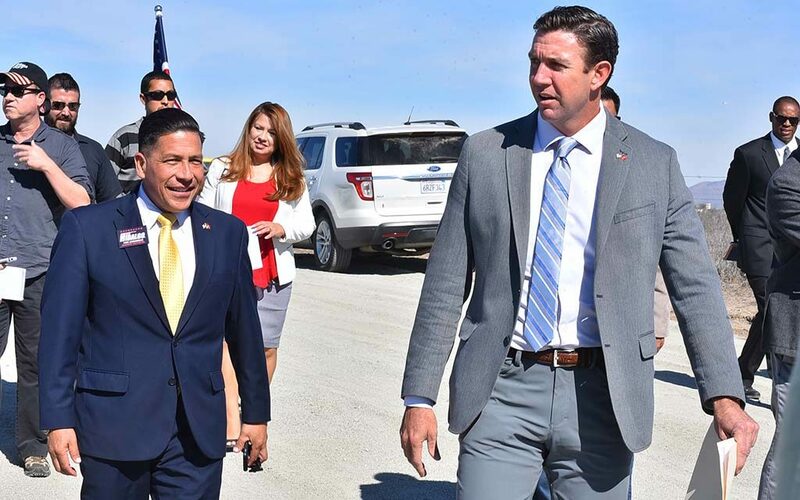 Hunter left after a half-hour, driven away by his local chief of staff Mike Harrison (in a silver Toyota Highlander bearing a “Congressman Duncan Hunter: Working for Us” bumper sticker). But for another 15 minutes, Nick Singer of the Campa-Najjar campaign commanded media attention, offering reactions to what he’d heard.